Smooth, watermarked paper ruled on both sides. 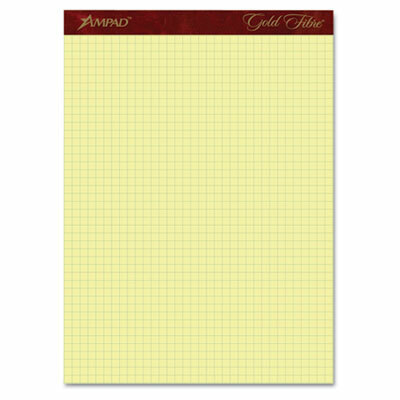 This quad-ruled watermarked pad with a heavyweight chipboard back features smooth paper. The paper accepts porous inks better than most grades of paper. Printed on both sides with nonreproducible blue ink.